All Paris homes currently listed for sale in Paris as of 04/19/2019 are shown below. You can change the search criteria at any time by pressing the 'Change Search' button below. If you have any questions or you would like more information about any Paris homes for sale or other Paris real estate, please contact us and one of our knowledgeable Paris REALTORS® would be pleased to assist you. "This BEAUTIFUL home is located in the mouth of Sleight's Canyon and sits on 3.5 acres, perfect for having a horse or other animals and perfect for being all alone and yet within the city limits of Paris, which allows for connection to Paris Spring drinking water! The view from here is to die for of both the valley below and canyon behind. Snowmobile and ATV access is right out of the yard and you're up the canyon immediately..... no need to trailer or haul. Wildlife is abundant on and around the property most of the year. 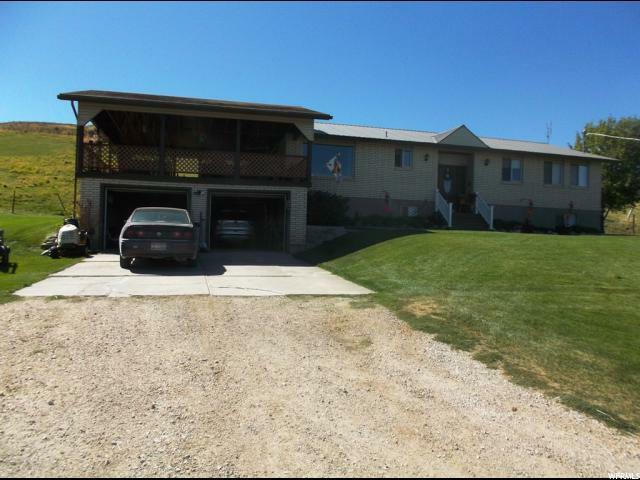 Has a 5 bay 30' x 60' outside shed; a 24'x 30' attached double car garage with the same sized covered deck on top. And the deck is wired for a hot tub! Lots of irrigation water with sprinkler pipe included. This is a big beautiful home in a fairy tale setting; call for an appointment today." "Charming, fun house in Paris.............Idaho! Live in the main house and rent out the two apartments that are included! Main house has three bedrooms, two bathrooms, efficient galley style kitchen with knotty alder cabinets, tongue and groove ceilings throughout master features a jacuzzi tub with separate shower and walk in closet, 24 x 24 garage and recently added flex room and huge mudroom. Apartments are separate from main house and each have own entrance with two beds/two baths, kitchen (in progress), living room in one and one bed/one bath, kitchenette, living room in the other. Great investment opportunity. Shop to the south of house in not included. Furniture is negotiable. Square footage is provided as a courtesy only--buyer to verify. " "This one level stick built home is located in the heart of Paris! This cute home has a fun sun porch, a covered deck, and a covered patio to enjoy the summer days in Paris. 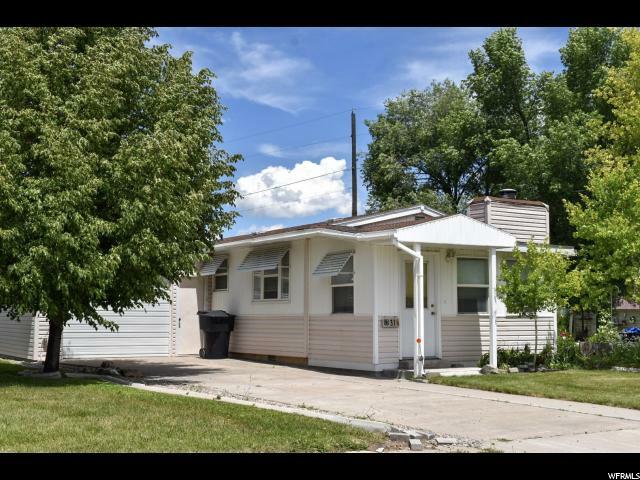 The home features 3 bedrooms with 2 full baths including a large master bath with jetted tub. There is an extra room that can be used for nursery /den/or crafts (currently used as large walk in closet). The kitchen and bathrooms have been remodeled. The home has wall A/C unit that keeps the home the perfect temperature in the summer, and a fireplace insert with fan for cozy winter nights. The water heater is newer and is a heat exchange system that is programmable for efficiency. 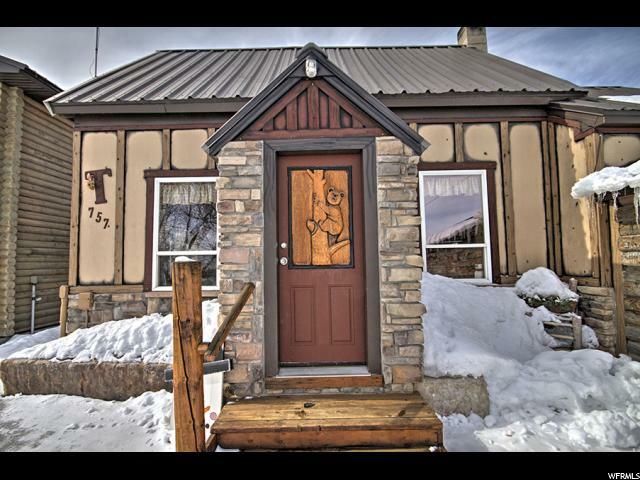 This home is just located minutes away from Bear Lake or the the mountains. "